When people better understand their health issues, they make better healthcare choices. Our project area comprises two villages, Magadini and Wosiwosi. When we initiated the project in 2009, there was no reliable health care service for great distances. This caused people – especially pregnant women and children – extreme hardship: if you could not walk eight hours to a government clinic, you had to get better – or die. Such isolation led to a reliance on superstition and ineffective or dangerous traditional treatments, worsened by a lack of understanding of basic physiology. We work with culturally relevant and sensitive materials in an engaging and respectful manner to teach communities about their health and optimize their healthcare choices. Knowledge becomes a community resource. We also partner with existing medical organisations to facilitate, expand and improve their services to such remote and vulnerable communities. 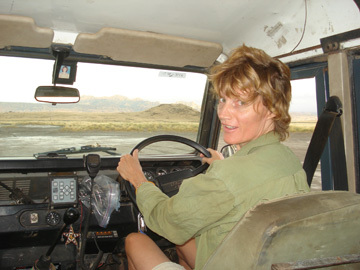 Melanie Finn is a writer and novelist who first came to Natron in 2006 to make a wildlife film for DisneyNature. In the first weeks filming The Crimson Wing, the village asked her to help a man badly injured in a knife fight. Armed with a copy of the bush medic’s bible, “Where There is No Doctor,” and notes from a Wilderness First Responder course, she sewed 13 sutures in the victim’s face. The next day, twenty people lined up outside the camp to see her with various ailments. Through these interactions, Melanie formed deep attachments with the community. Over the next three years, she relied on an email network of doctors, including her mother-in-law, Penny, to diagnose and treat or refer to primary care a wide range of diseases and injuries, including Sexually Transmitted Diseases, TB, pneumonia, snake-bites, broken limbs, pre-eclampsia – and an amputation. When it was time to leave, she approached Penny as a partner, so that together they might establish a meaningful, permanent health service in her absence. Penny Aeberhard was a family doctor, with a special interest in teaching health workers and young doctors. As such she was an advisor to teaching practices in the Oxford Region in the UK. She worked in a busy practice in a suburb of London, with a multi-ethnic population. After her three sons left home she went to central India for six months to work as a volunteer in a remote area with 20 villages, giving priority to teaching . After her retirement she continued to use her skills in attachments, responding to requests by NGOs, in India, Nepal and Tanzania. Although she loved the continuity of care for personal patients, over the years she became more and more convinced that for wider influence public health measures had more to offer to promote change in the developing world. She strongly believes in evidence-based medicine, along with empathetic support of communities, respecting their own cultures and working alongside them to allow their autonomy. 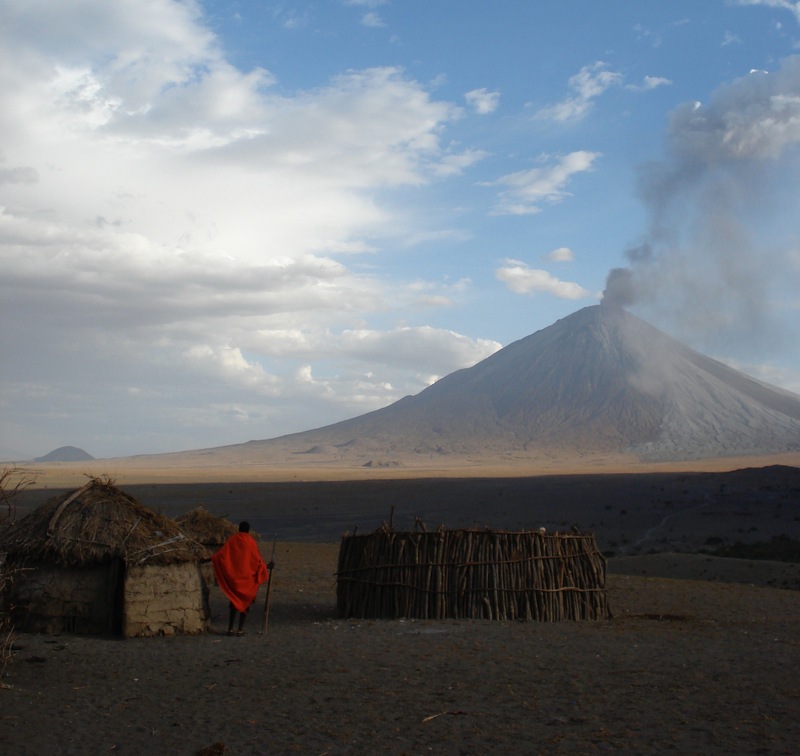 After a full assessment of need in the Lake Natron area, in 2008, with Mel, she developed the aims of Natron Health Project along these lines. Expanding her interest in education, both to health professionals and also to villagers, she has worked with a professional health educator with experience in Africa and Pakistan, to develop popular modules that are interactive and clear. She believes that “Third World” education methods need to be first class not third class! Elfriede Ing, usually know as “Elfi,” trained as a teacher at Bordesley/Birmingham Teacher Training College in 1973. She volunteered for many years for Meals-on-Wheels and the Social Services, and at the Citizens Advice Bureau in Hereford, where she was Deputy Manager for five years. As volunteer and employee in these organisations, Elfie acquired extensive knowledge of aspects of social law and the needs of people for employment and housing which affect their health in all societies, not just the in the UK. As an active supporter of many charities, Elfie brings a donor’s perspective. An active donor to the Natron Healthcare Project since its inception, she has watched its growth with pleasure. Being teacher-trained, she values the emphasis the project puts on education.Her role as a trustee is to assist with crucial administrative tasks, monitor the project’s status with the Charity Commission, and offer advice, such as the suitability of British Telecom’s Mydonate scheme as a fundraising mechanism. Dr Sue Lynch was a General Practitioner in a medical practice in UK from 1978 until retirement in 2010. She was senior partner for 6 years with responsibility for the management team and financial management. She gained an MSc in General Practice in 2001. Her main interests were gynaecology, antenatal care and family planning. As a medical student, she had experience for 2 months in a rural community clinic in the Punjab, India. Since 1999 she has been a trustee for two local relief-in-need charities in the area where she lives. 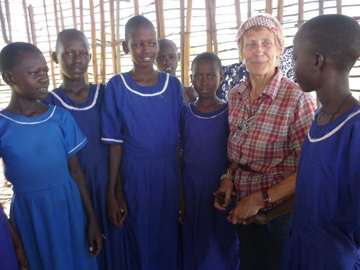 She has been a Parish Councillor since 2010 and chairperson of a Good Neighbour Scheme since October 2013.As a friend of Penny Aeberhard, she was interested in, and a supporter of, the Natron Healthcare Project since it started and was pleased to become a trustee in May 2013. 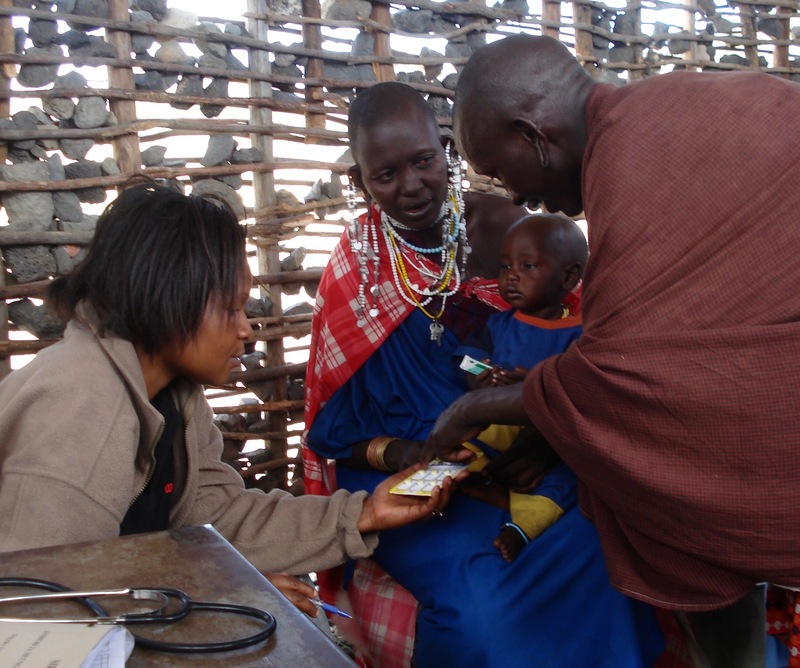 The Natron Healthcare Project is a registered charity in the UK, No.1153655. See UK Register of Charities here.